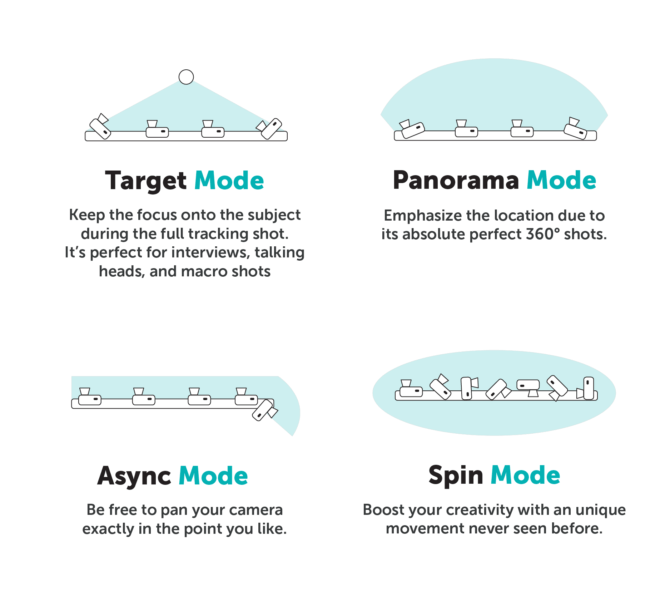 Adding camera movements to your video or timelapse footage is one of the simplest ways to add some more interest in your footage, bump up production value, and take your work to the next level. It’s why many of us buy camera sliders in the first place. But sometimes a simple slide move isn’t enough, and we want to be able to pan the camera while it’s sliding across the rail. This is where the ShooTools AutoPan steps in. Best of all, it will work with pretty much any slider you care to put it on. Made in Italy, and marketed as “The First Universal Panning Tool”, this video shows that it seems to do what it says on the tin. Initially unveiled at NAB 2016, the AutoPan offers four different modes of shooting. Target & Panorama modes are what you’d expect from such a device, and would probably be the most common usage for a pan head. The other two modes I’m not so sure about. I could see spin mode being a neat gimmick that every owner will play with at least once or twice for some timelapse, or maybe for some kind of sliding whip pan transition type effect. As for the async mode… I’m sure many people out there could immediately fire off a dozen situations where this might be useful, but I am not one of those people. If you can think of one, especially if you can show some example footage, please do post in the comments. What makes it compatible with pretty much every slider ever made (even DIY options) is a retracting “spin cable” that hooks onto the end of your slider. The cable has a length of 3 metres (10ft) so unless you’ve got some crazy monster of a slider, you shouldn’t run into any length issues. It knows how much of the cord has been pulled out of the pan head (presumably by the rotation of some spindle inside the unit) so also knows how far along its path it is and at at what rotation the pan head should be to get your camera pointing at the right subject. It has a standard 3/8″ hole in the bottom, letting you mount it straight onto a base and has a 1/4″ thread on the top to go into the bottom of a camera. Of course, you can use 1/4″ to 3/8″ adapters to use it with any configuration of ball, fluid or other type of head you wish. Other motorized panheads are out there on the market, one of which we’re currently giving away (you’ve only got three days left to enter! ), but this is the first one I’ve seen that offers easily repeatable moves on any slider. There are a couple of systems out there that do offer similar functionality, but you’re often limited to using very specific sliders and controller units, and everything has to match up just right. They also usually cost a fortune. There’s no word yet on price for the ShooTools AutoPan, or an exact release date beyond “Coming soon”, but I’d definitely be interested to see what people think of these once they start to get out in the real world. Is a panning head something you’ve wanted to add to your slider for timelapse or video? Have you sorted out your own solution? Let us know and tell us your thoughts in the comments. « Giving credit where credit is due. Why is it so important to credit the artist? Possible asynch mode use: Architectural room reveal. Slide from one room through a doorway then rotate to show next room.